Dr. Pitman was very professional and knowledgeable! The office was clean and the staff members were very kind. I was seenright away and was given quality care. I would highly recommend Dr. Pitman! Dr. Pitman was very professional and knowledgeable! The office was clean and the staff members were very kind. I was seen right away and was given quality care. I would highlyrecommend Dr. Pitman! Dr. Pitman gave me a pretty thorough consultation. Listened to everything I needed to say, asked me questions, and followedup with a diagnostic roadmap and clear answers for if/then scenarios. Great doc! And the administrative and nursing staff were lovely too. I never felt like I was being pushed through a standard conveyor belt, as consultations can so often feel. Dr. Pitman gave me a pretty thorough consultation. Listened to everything I needed to say, asked me questions, and followed up with a diagnostic roadmap and clear answers for if/thenscenarios. Great doc! And the administrative and nursing staff were lovely too. I never felt like I was being pushed through a standard conveyor belt, as consultations can so often feel. Max Pitman, MD, is board certified in both gastroenterology and internal medicine. His clinical practice covers the breadth of digestive and liver diseases – from common symptoms like heartburn, abdominal pain, and bloating to the complex care of patients with inflammatory bowel disease, gastrointestinal cancers, or advanced liver disease. Prior to joining Gotham Gastroenterology, Dr. Pitman completed his undergraduate degree at Yale University, where he studied English Literature. After a time in Central America working on health education in rural communities, he went on to complete his M.D. at Columbia University. There he was an active investigator, and was awarded a year-long fellowship in clinical outcomes research. He remained at Columbia for his residency in Internal Medicine and was elected Senior Medicine Resident of the Year, before completing a gastroenterology fellowship at New York University Medical Center. During GI fellowship, he was widely recognized for his outstanding and compassionate patient care, and was elected as a member of the Gold Humanism Honor Society. 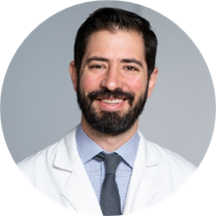 Dr. Pitman is an Attending Physician at NYU Langone Medical Center, where he enjoys teaching students, medical residents, and GI fellows. His research has appeared in multiple peer-reviewed journals and at national meetings, and has included topics such as celiac disease, quality measures in endoscopy, obesity, and acid reflux disease. He is an active member of the American College of Gastroenterology, American Gastroenterological Association, American Society for Gastrointestinal Endoscopy, American Medical Association, and the Institute for Functional Medicine. He is fluent in Spanish and English. Dr. Pitman took the time to listen to my symptoms he asked many questions and actually listen to.my concerns. He provided feedback as well as an explanation of what tests or methods would be used to rule out or confirm whatmy issue may be. Dr. Pitman did not talk down or jump to any diagnosis or provide medication for any catch all diagnosis. I felt comfortable and at ease and well informed. I look forward towards a journey that will lead to answers. Thank you Dr. Pitman as well as to the wonderful and helpful staff. Dr Max Pitman was great . He is very thorough and asks a lot of questions to make sure all bases are covered. Listens well and made me feel comfortable. Dr. Pitman was patient, knowledgeable, warm, and able to explain the various possible causes of my medical condition in clear, concise language. He spent a lot of time with me and it was incredibly refreshing not to feel rushed because ofa backup. The office staff was friendly and the wait time was minimal (perhaps because I came for my appointment mid-day, but still, I was in and out in no time). I would definitely recommend Dr. Pitman and this practice to anyone. My visit with Dr. Pitman was great, virtually no wait time and his attention to detail through the questions he asked made me feel as if no stone was unturned while trying to accurately diagnose what was causing my pain. Would definitely recommend!